Wino 4 Life: Who is Wino4Life??? I am Jim Harden, an Arizona native born in beautiful Prescott, AZ and a proud member of Generation X. 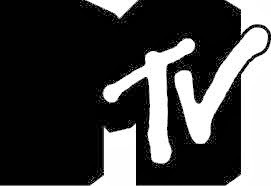 My first video game was Pong and I remember when MTV actually played music (I never missed Yo MTV Raps or Headbangers Ball). 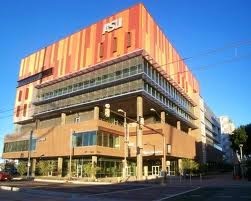 I attended Arizona State University (Go Devils!!!) where I obtained a Computer Information Systems degree. My job as an Information Technology consultant had me living, working, and traveling throughout the country. Amongst other places, I lived in a suburb of Chicago, in Denver, and also spent extended periods of time away from home at various other locations. This Arizona boy got to see a lot of the Country through my IT job - but it kept me away from home way too much. Late in 2012, with unbelievable support from my wife Terry, I left my 25+ year IT career to pursue my passion - Wine. This blog is part of that pursuit and my goal is to share my passion with as many of you winos out there as I can. I have not yet worked in the wine industry or, with the exception of a stint during college at Godfather’s Pizza, in the food industry either. I am not a professional wine journalist, just a guy who has devleoped a serious passion for wine over the years. My hope is that I can find ways to help you explore wine in as much depth and in as many different ways as you want. I will admit I have turned into quite a wine geek and am very fascinated with the end to end process that brings that wonderful fermented grape juice to us all. I do not think all or even many of you out there will geek out as much as I have (excuse me, can you describe the dirt these grapes were grown in? ), but my goal is to provide information about wine minus the snootiness and constant geek-talk that is so prevalent in wine writings I see every day. On occasions I know I will fail and some wine geek will slip through, but I promise to give you fair warning so you can prepare yourself accordingly (look for the label: Wine Geek Level High)! You may love some or all of the geeky parts and long for more geek, or you may just want to skip the geeky stuff in favor of the more practical information - the choice is yours but in either case I hope you enjoy being part of the Wino4Life nation! What got me interested in wine? My wine passion started from two main events - both of which I will always remember. The first was an example of my wife trying to expand my horizons against my will, and the second was the unbelievable hospitality from one specific winery. Step 1 - Trying Something New Can be Rewarding! Trying to be an adult after college, I did consume the odd Mondavi White Zinfandel at restaurants and a bottle or two of Chardonnay on very special occasions, but as for wine in general I despised the associated snooty-factor and the pretentious glass sniffers. Some friends of ours invited my wife and I to a wine tasting at a local wine shop (RIP The Wine Merchant in Phoenix, AZ, unfortunately no longer open). Kicking and screaming and only after threats of mild violence from my wife I agreed to go, and prepared myself for a night of shaking my head rolling my eyes at the wine snobs in Snobville. To my surprise I thoroughly enjoyed the experience, a great mix of fun and information. The theme for this first tasting was Syrah/Shiraz - and we tried wines from California, France and even one from South Africa. 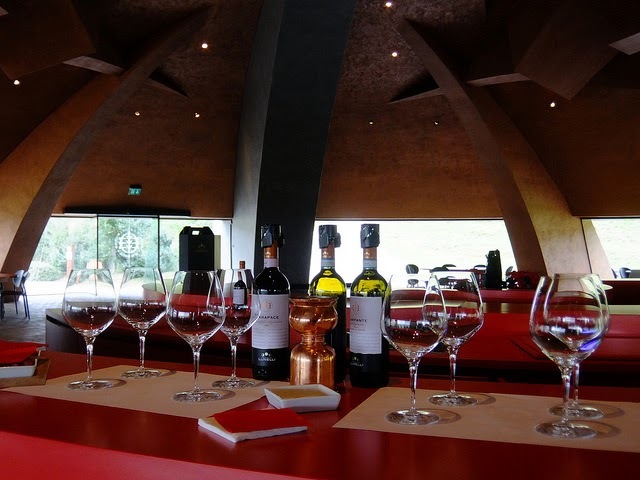 We quickly became regulars and introduced many of our friends to wine tasting. I am forever grateful to my wife for “forcing” me to attend my first wine tasting. After becoming regulars at wine tasting, I started my plunge into wine-geekdom by starting to read things magazines like Wine Spectator and Wine & Spirits to learn more about the wines we tasted. As usual at that time, my job had me off traveling so I was not able to attend a very interesting tasting at the Wine Merchant where the winemaker from DeRose wines was presenting a tasting of his wines. 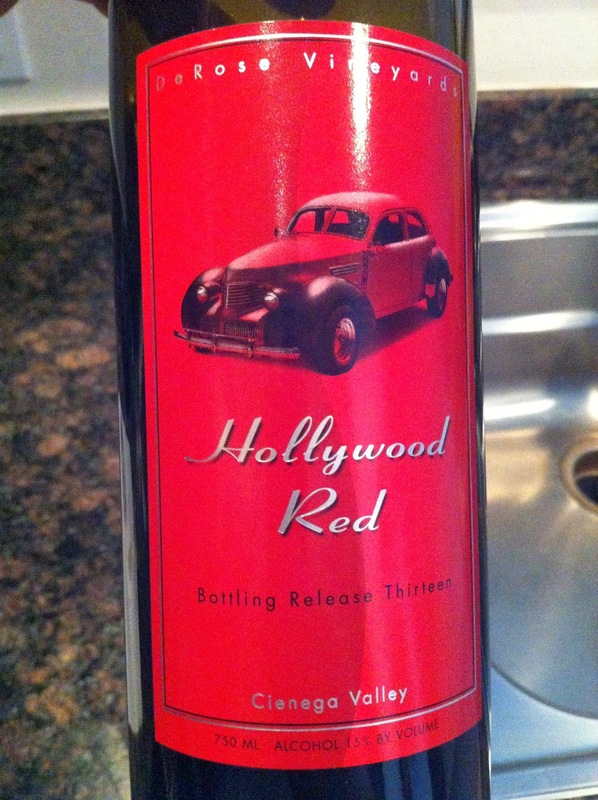 My wife really like the wines, and introduced us to what would become one of our all time favorite wines - Hollywood Red. The first Hollywood Red my wife purchased at the tasting was a 1997 vintage - and we consumed and gave away a lot of this wine as gifts. A few months later when my wife and I decided we were enjoying the wine thing enough to try out Napa and Sonoma California, we found out that the DeRose winery was located in Hollister, California which is about 100 miles south of San Francisco. Since we were driving up to wine country so we could bring back lots and lots of good stuff, we decided to make a stop at DeRose winery on our way up to Healdsburg in Sonoma County. At the time, DeRose did not have an official wine tasting room - but you could just call and let them know when you were coming by. We arrived just after lunch time and Pat DeRose met us and took us into their warehouse where they made and bottled their wine. He had a folding table setup in one corner, with a spit bucket and a few opened bottles with the corks stuck back in. Pat took us through the wines they had open, including their Syrah, a couple Merlots, and a Cabernet Franc. Our host was very much hospitable, but we definitely got the sense that they had a lot of visitors that were just interested in some free wine on their way to other wineries to get more free wine. The last bottle Pat poured was their Hollywood Red. Since this was the last bottle they had open, I was starting to calculate in my head how much wine we wanted to buy before we departed. After Pat poured us a tasting, I picked up the bottle and noticed (thanks to knowledge gained from reading my first few issues of Wine Spectator) that this was not the 1997 we had previously enjoyed, but was in fact a non-vintage (which just means that grapes from more than one year can be mixed together - and the bottle won’t have a vintage identified). For no particular purpose I said to Pat “Oh, I see this Hollywood Red is a non-vintage - we really enjoyed the 1997.” Pat looked up at me and I could see a change in his demeanor that seemed to say “Maybe you aren’t just looking for some free wine, you are interested in MY WINE! ).” Pat said to us “Let me tell you about that while I show you the rest of our operation.” What followed was a 3-4 hour (I lost track at some point) in-depth tour of the winery where Pat showed us their whole operation, answered my countless novice questions, opened up cases they had packed up for shipping to grab bottles to open for us to taste. The whole experience culminated in a barrel tasting where he took us back to the room that housed their aging barrels, where he would take wine straight from the barrels and mix together wines of different types or the same wine aging in different types of barrels. He wanted to know which combinations we liked best - and believe me there were a lot of combinations he let us try! We also met Pat’s son, Alphonse who came in cursing (then apologizing for cursing until we encouraged him to continue) about the company email account not working. 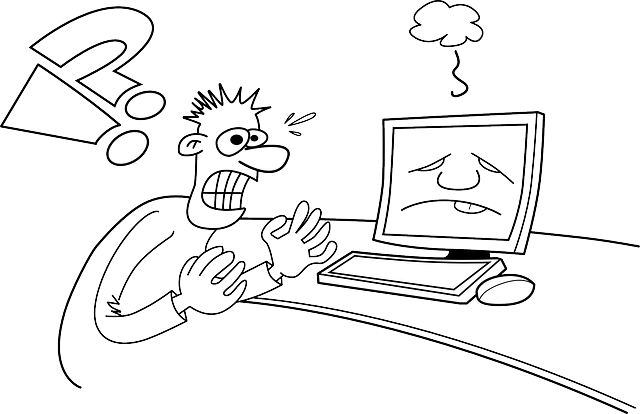 Feeling optimistic after hours of wine tasting, my wife volunteered me to fix their problem - and luckily I had enough useful brain cells to help them and I did get their email system up and running. After purchasing a couple of cases and getting a few free bottles thrown in for my technical assistance we finally said goodbye as the Sun was starting to set. We decided to hang out in the area for a few hours to make sure I was OK to drive (I started tasting and spitting early on, so was not as “happy” as my wife at the end of our DeRose experience), and by the time we arrived at our Healdsburg bed and breakfast it was about 2 a.m. I will never forget the hospitality that Pat and Alphonse showed to us, and the amount of wine passion they had, and were eager to share with us. They spent a good part of their day on us - far from what I expected from our visit. At that point it stuck in my mind how great it would be to do something I was that passionate about for a career. It also ruined me for other wine-tastings, as we haven’t gotten the same level of attention at another winery...at least not yet! I hope to provide lots of good information about the world of wine in a fun and snoot-free way. I value the trust that friends have when they ask me for wine recommendations or ask other wine related questions, and I truly want to build that trust in a larger audience of potential winos - you!!! We’ll call it a weekly (or more) dose of grape therapy! I have accumulated my wine knowledge to date through countless hours reading wine blogs, reading magazines like Wine Spectator and Wine & Spirits, experimenting with food and wine combinations, and roaming the aisles of my local Total Wine store (the Disneyland of wine stores). I have also earned a Level 2 Certificate from the International Sommelier Guild, I am a Certified Associate Wine Steward with the Federation of Dining Room Professionals and am currently studying for my Certified Specialist of Wine (CSW) from the Society of Wine Educators and I am studying with the International Wine Guild to become a Certified Cellar Manager. My transformation into a total wine geek is well underway and I am truly excited about what the future holds!!! When can you expect to hear from me? I will be posting the following on a regular basis - so please check back with me often! Wine Tip of the Week - my weekly tips to help your enjoyment and exploration of the world of wine. Wino4Life Posts - observations, musings, opinions, deepest thoughts, rants, raves - whatever comes to mind for that particular post. Interested in a specific topic? - just let me know and I will do my best! Some may be long, some may be short - but I promise to do my best to provide high quality and highly useful information. Wine Reviews - Often these reviews will be examples in my quest for great value wines in the $10 to $20 range, but you just never know what might come under Wino4Life scrutiny! I do promise to be honest and unbiased in providing my opinions. I am always looking for suggestions for wines to review - so please share your ideas! My goal is to have a review each week - sometimes more, sometimes less. 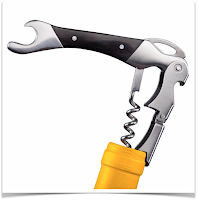 To provide fun and informative postings to share my passion for the world of wine. Opinions, biases, critiques are mine and not influenced by any paid sponsorship. Wines and gadgets used in bringing you this information will mostly be things that I select and purchase based on my whims and your suggestions. If I do ever review something that I received for free - you will definitely know about it up front, and it will not impact my opinion or review...I promise! So... thanks for reading, please come back often and please provide suggestions, critiques, and whatever other feedback that comes to mind. I want to know how I’m doing so I can grow and improve as I continue my journey in pursuit of a passion for wine!! !